SK Dublin was founded in 2000 and has already matched over 3,000 au pairs with Irish families. We place au pairs in the Dublin region, Wicklow and all over Leinster. We are members of the International Au Pair Association (IAPA). Our company director, Seán Kavanagh, makes regular contributions to the media on the ongoing campaign for the recognition of the au pair programme. We also specialise in Junior Programmes and English language classes for adults at Arklow Language School. Our summer camps in Arklow and Aughrim welcome hundreds of foreign teenagers each July. The English classes for au pairs and other adults in Arklow continue all year round and attracts students from South Wicklow and North Wexford. During the summer months we employ up to 16 people to run our summer camps and other language programmes. We are based in Aughrim, Co. Wicklow, just one hour south of Dublin. 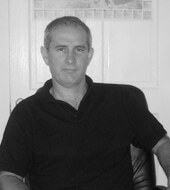 Originally from Co. Mayo, Seán founded the agency whilst a mature student in Trinity College, Dublin. He graduated in Economics and Politics in 2002. Now married with two children he lives in Co. Wicklow. He is Chairman of his local GAA Club. Languages: English, Irish, Spanish. Originally from Lancashire in England, Anne moved to Ireland with her family in 1999. 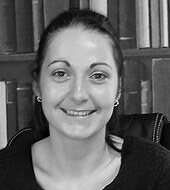 Anne joined the SK Dublin team in January 2016 and is primarily responsible for the au pair programme. Error: Error validating access token: Session has expired on Saturday, 08-Dec-18 04:59:33 PST. The current time is Friday, 26-Apr-19 07:41:58 PDT.